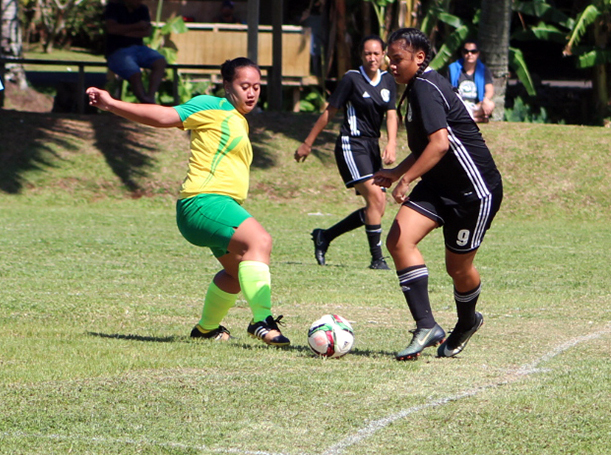 Tupapa Maraerenga Senior womens team travel to Nikao tomorrow, looking to take the confidence gained from their 6-0 thrashing of Takuvaine on Saturday last week into todays crucial top of the table clash. They find themselves second in the round cup competition – one point off the current leaders Nikao Sokattak. The home team faces a big task this afternoon in order to secure and maintain its number one seating. This team will be after a little more consistency as they look to really push with only three games left to play in the competition, and a result against title favourites Tupapa Maraerenga would prove a great platform to build on. Both sides enter the clash in contrasting form with neither wanting to leave the field on the back of a defeat. These two football clubs will be hoping to achieve victory in this crucial match up, and it seems too close to call, even at this late stage. The duo have quality all over the pitch, from sturdy back lines to attacking talents, and we just can’t seem to pick out an outright winner between them. Chances are that any win will come from one team switching off at the wrong moment. Come down the Nikao field and enjoy football, the beautiful game. REFEREE AND ASSISTANT REFEREE APPOINTMENT. Thursday 09/11/17 at the Nikao Field. Friday, 10/11/17 at the Nikao Field.